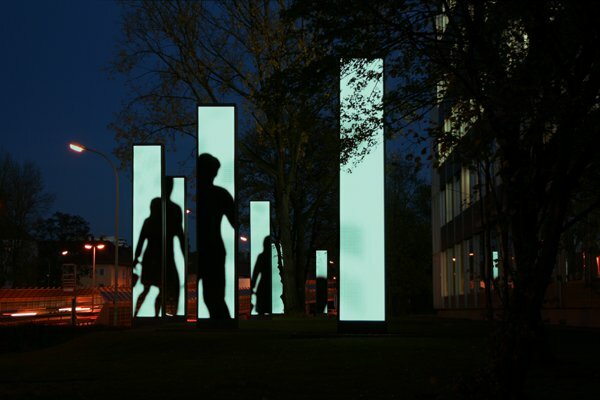 "reprojected" was designed for “Seven Screens”, a new light art project located in front of the Osram headquarters in Munich, consisting of seven double-sided state-of -the-art LED-steles, each measuring 6 m (20 ft) in height. 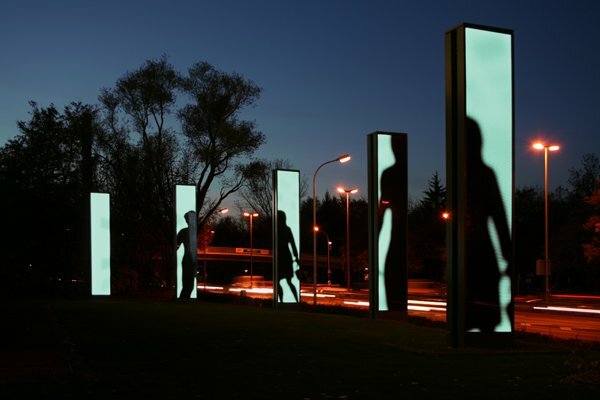 The location adjoins a six-lane express highway and the main target group of the art project is by-passing drivers. 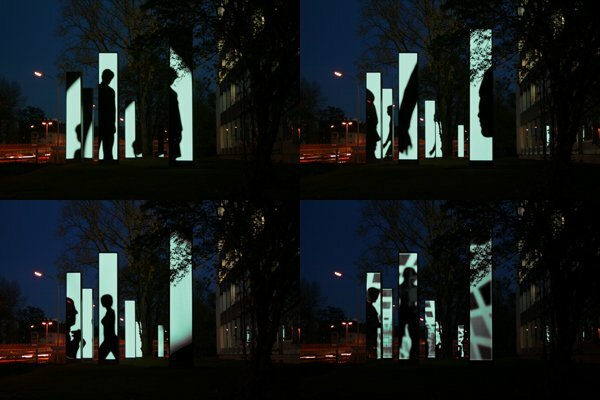 In order to create a continuous visual space despite of distributed screens and audience flashing by, the artists reduce the installation’s motifs to the principles of light and shadow. 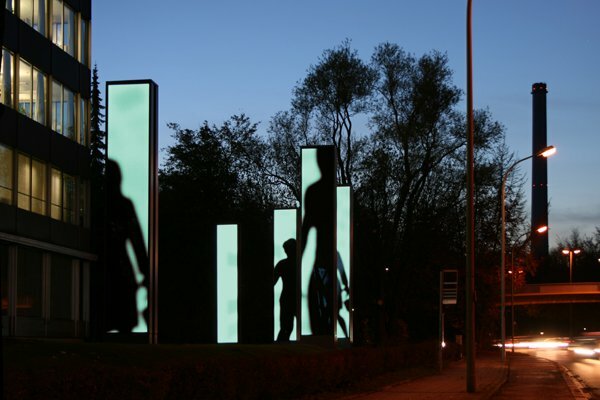 The images showing people’s silhouettes walking by and posing in front of spotlights are thus smoothly covering the steles and the space between them. 3-d-simulation of the entire scenario. Animated 3-d-bodies are passing in front of simulated light sources and throw their shadows on computer generated steles. 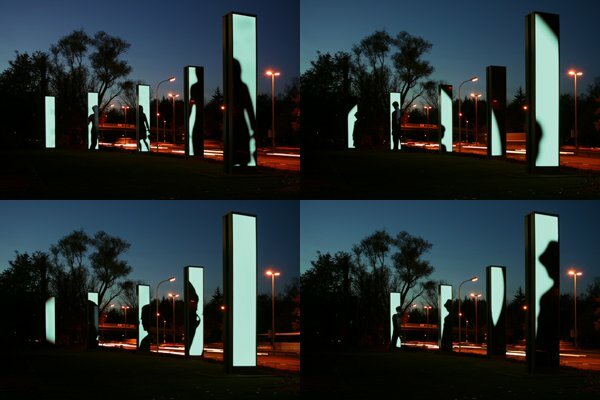 The artists are staging an ironical play with the novel, extremely strong and sun-like LED, by using the LED steles to re-project silhouettes produced by the “old” outdated electrical – to top it off: simulated – light. Moreover the novel qualities of LED are being misused to the max by depicting shadows i.e. antipodes of light. An evocative interplay of old and novel light and of real and simulated spatiality is thus being generated - with the steles performing as interfaces of the artificial and the real. 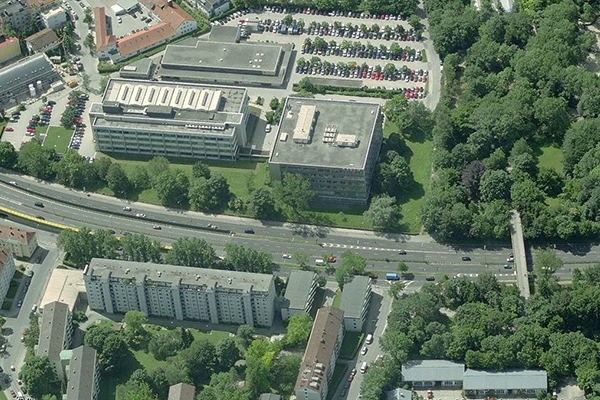 In 2013 the Osram headquarters moved and in 2014 the installation was disassembled.